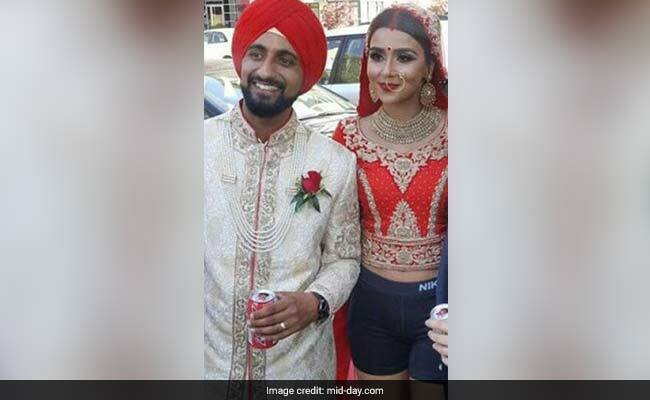 Mumbai: A Punjabi bride wore shorts instead of a lehenga and her wedding images have taken social media by storm! Yes, you heard it right! While every girl dreams of dressing up in gorgeous designer lehengas on her wedding day, this bride just did the unthinkable. She wore the bridal choli, heavy gold jewellery, and embroidered bridal dupatta. She also had the bridal makeup on. What was missing from this bride's wedding attire was a long embellished lehenga. Instead, she wore a black Nike shorts and walked hand-in-hand with her husband.